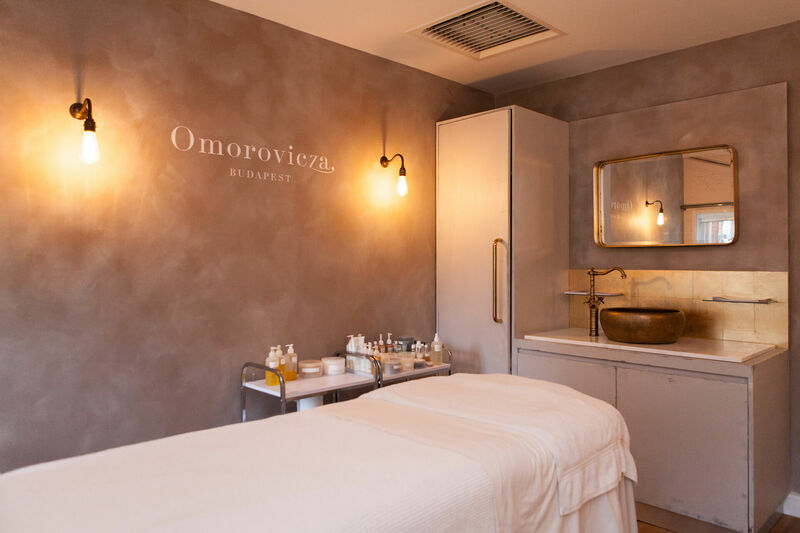 Omorovicza – the cult skincare brand from Budapest, that use the curative properties of Hungarian thermal waters to create a luxury skincare range – approached Hello Flamingo to update their beauty treatment room in the historical luxury London department store, Liberty of London. 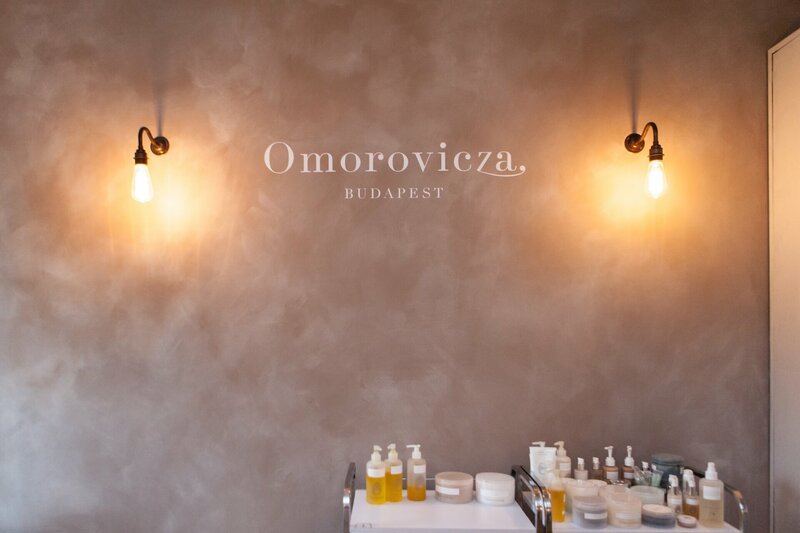 In the 1800s, the founder, Stephen de Heinrich de Omorovicza’s ancestors, commissioned one of the most famous architects in Hungarian history, Miklos Ybl, to build the beautiful Rácz spa in Budapest, on the site of a medieval healing spring – this thermal bath was the inspiration for the treatment room refurbishment. 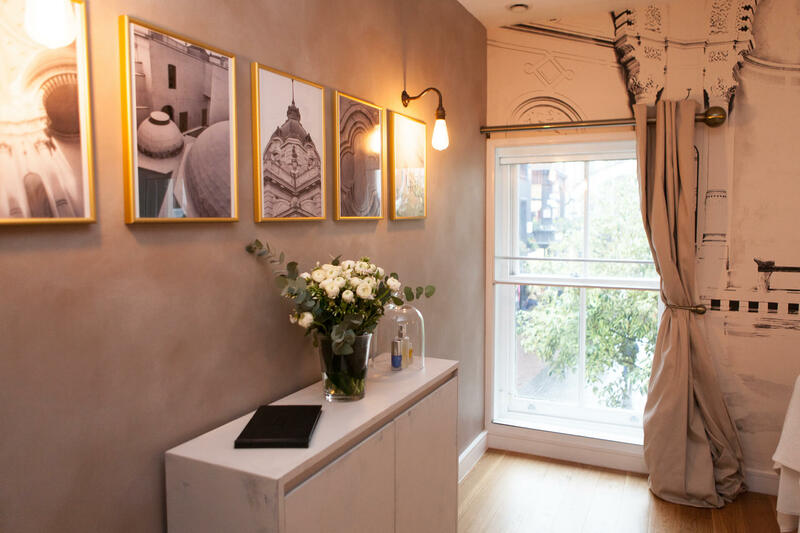 The team at Hello Flamingo set about transforming the room, with a scenic painter painting the walls with an aged stone effect, the existing furniture was sanded back and given a worn/aged paint effect also. 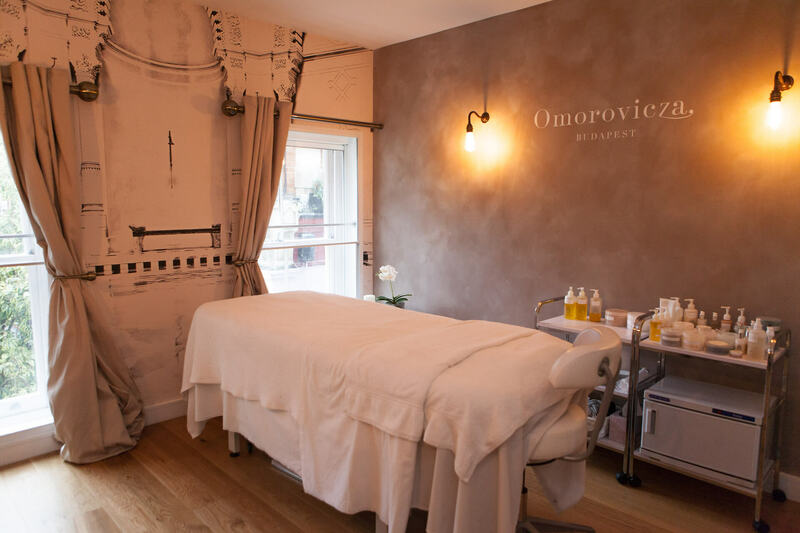 One end of the room was wallpapered with the image of the original Omorovicza Rácz spa. 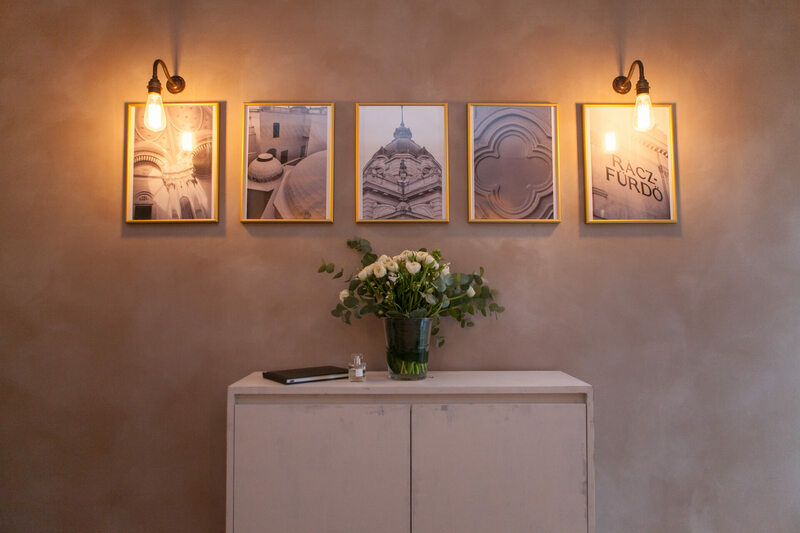 Antique brass fittings, sourced by the Hello Flamingo in-house team, were added, from a beautiful painted sink to antique light fittings. 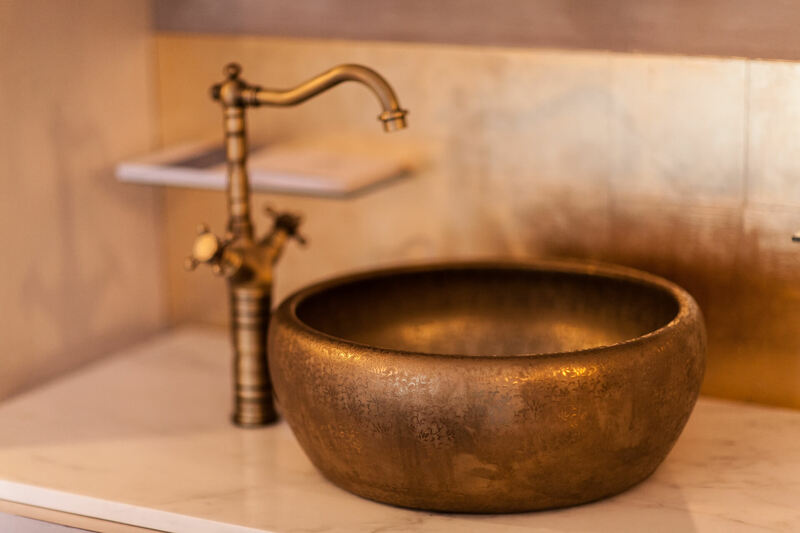 The back splash to the ornate sink was gilded in gold leaf to add to the luxury feel. 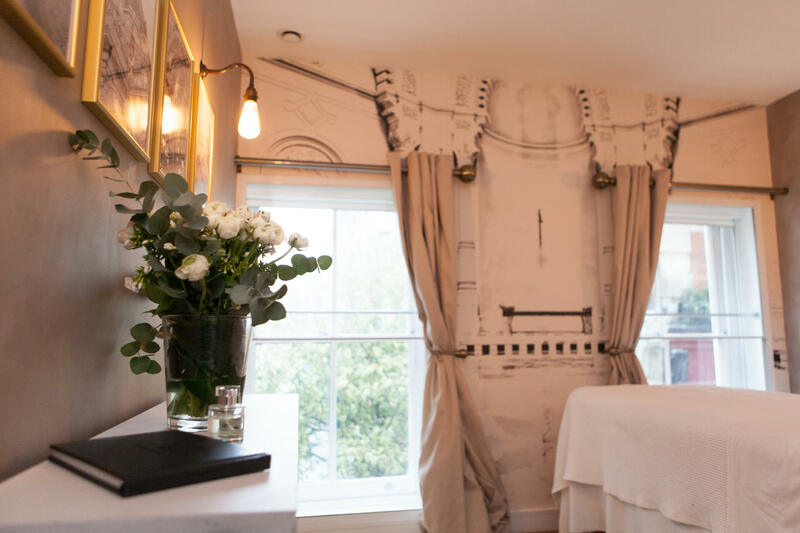 Sumptuous curtains cover the windows and a vinyl of the company logo adorns one wall, which faces a wall of brass picture frames filled with black and white imagery of Hungarian architecture. 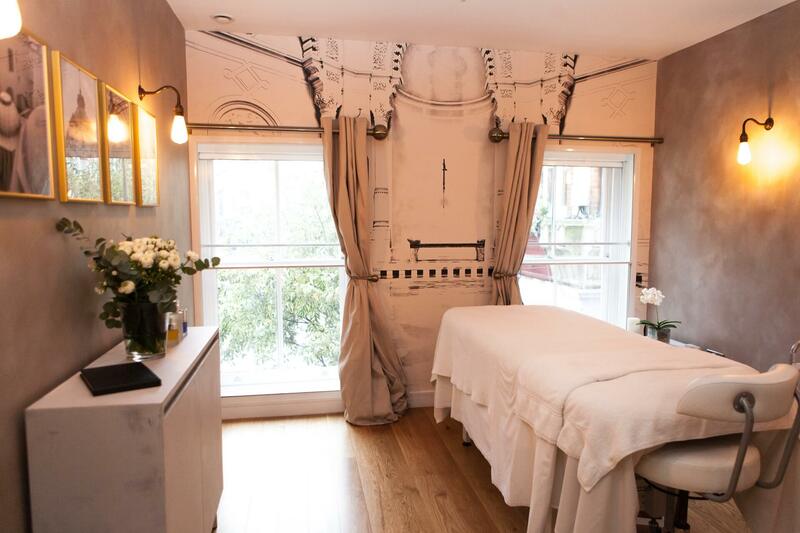 This was a lovely project to work on, we are incredibly happy with the outcome and was really well received by the client – so much so that the team are also created the same brand identity in the beauty treatment room at Harvey Nichols in Dundrum, Dublin.